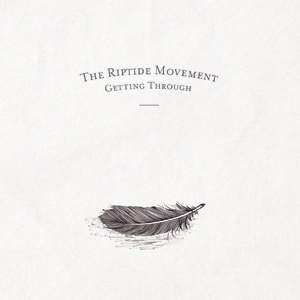 A chart-topper in their native Ireland last year, 'Getting Through' is the third album from this quartet and The Riptide Movement are now receiving a global push. They've previously supported The Rolling Stones and played Glastonbury to raise their profile, while this year's festival schedule includes slots at T In The Park and the Reading and Leeds events. If you have a quick glance at the biography on The Riptide Movement's website, you'll find the band pushed as Eire's answer to The Gaslight Anthem and Frank Turner. Their sound can be described as rock leaning toward country, while frontman Mal Tuohy has the very slightest bit of Bono about his voice. What it fronts is a series of mid-tempo cuts which very quickly blend into one another, failing to achieve the rousing spirit that is wanted by 'Animals' or 'You And I'. Songs such as 'Skin And Bone' and 'Friday To Sunday' have accessible choruses, but they are lyrically simple to the point that they border on being outright boring. The lack of variation in sound, tempo and dynamic ultimately make 'Getting Through' a task with scant reward, and with no evidence of anything remotely inspiring.